I have even less time to draw in weekends than during the week with all of the snow clean-up required this winter. 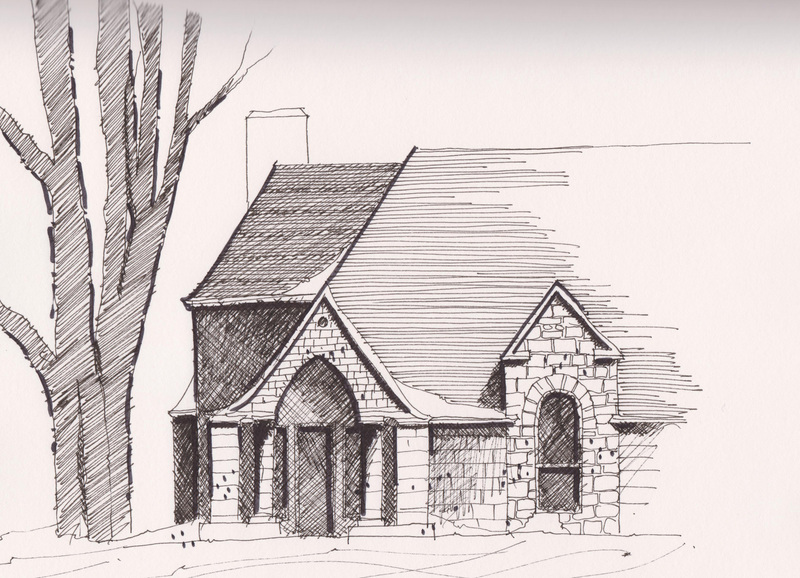 This is a quick sketch of the Parish House and Chapel at Saint Barnabas Memorial Church in Falmouth, MA that was dedicated in December 1890. The building was a gift from Frank Beebe in memory of his mother and two sisters, Frances and Mary Louise. The house was originally used as a reading room or library for the town of Falmouth. Pigma Micron pens in an Alpha Series Stillman and Birn Sketchbook.